There’s one more benefit to the reconstruction of the seawall along the Collins Canal on Dade Boulevard next to the Miami Beach Botanical Garden: The Garden itself will expand out to the seawall, providing a shaded pedestrian walkway. The idea for the Garden to extend to the Canal is not new. It was included in Raymond Jungles 2009 redesign as Phase 3 but was never implemented. The plan was revived when the City needed some space for a generator for the new stormwater pump station being installed on 19th Street. Botanical Garden Executive Director Sandy Shapiro suggested the construction would be a good opportunity to implement the extension. David Martinez, Director of the City’s Office of Capital Improvement Projects, says once the seawall installation is completed in the next several months, work will begin to backfill the area and then “a meandering sidewalk will be constructed with the same finished look of the Botanical Garden sidewalks”. Existing FPL lines will be undergrounded and landscaping, pedestrian lighting, and irrigation will be added. Shapiro says the generator for the pump will be hidden in a corner of the garden. 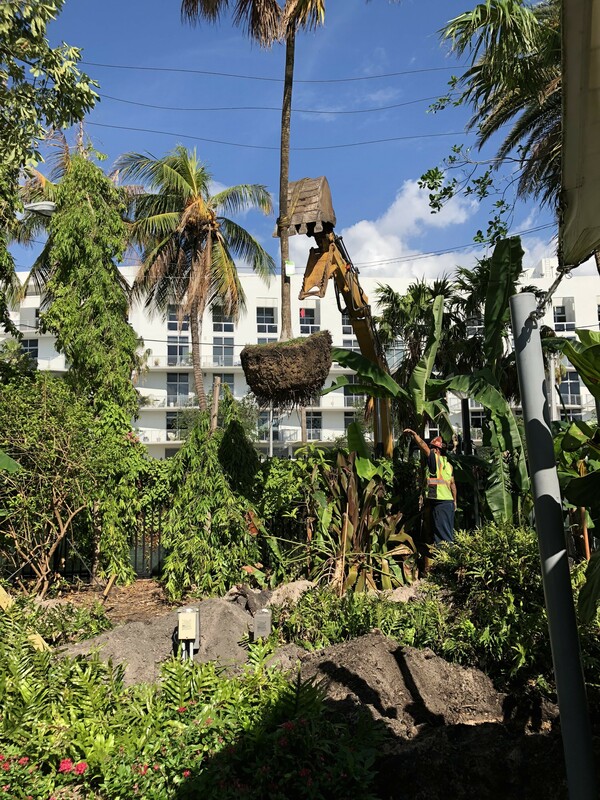 The project, she told RE:MiamiBeach, will connect the completed Convention Center and the soon to be restored Carl Fisher Clubhouse with the Holocaust Memorial and Botanical Garden. The Garden sits on 2.6 acres of City-owned property and is run by the Miami Beach Garden Conservancy, a non-profit organization. 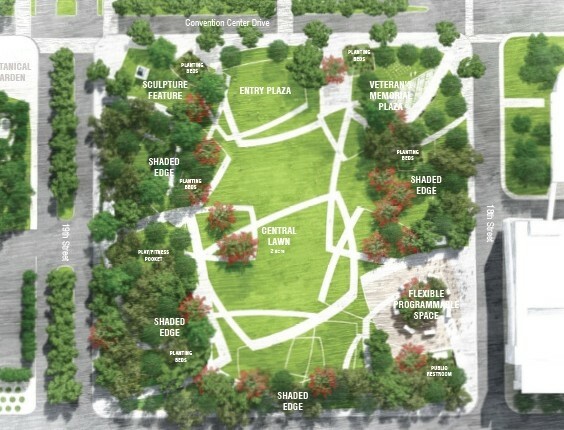 Shapiro said the extension will add less than .5 acres to the Garden, but will open it up for a view that extends from the south gate all the way to the Canal to the north. The Garden was first opened in 1962 on a vacant lot next to the Convention Center that was completed in 1957. It was originally operated as a City park but fell into disrepair, experiencing further devastation during Hurricane Andrew. In 1996, a group of concerned residents approached the City with the idea of the Conservancy to restore the Garden. Today, it is a public/private partnership, owned by the City and operated by the Conservancy. The Conservancy commissioned the Raymond Jungles design in 2009, closed the Garden for a year and a half during its construction, and reopened it in October 2011. 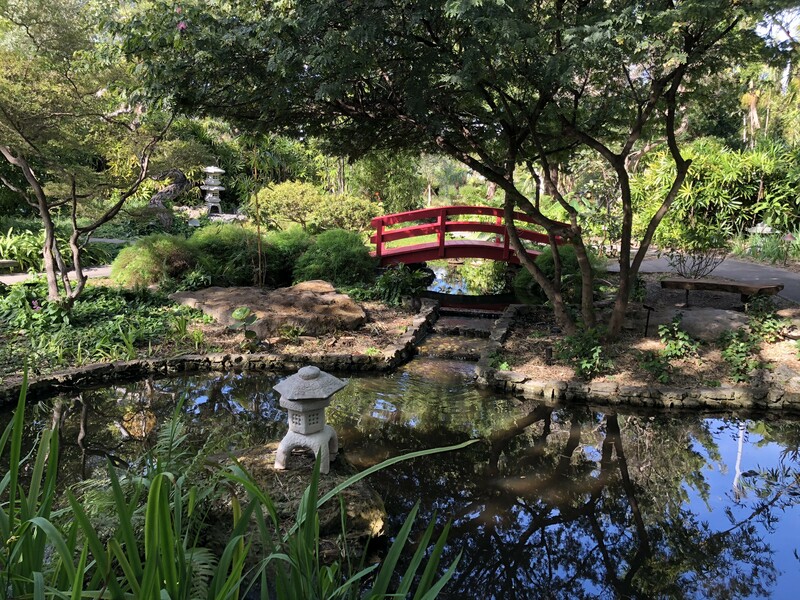 The redesign incorporated the Japanese and native gardens from the original, but added water features, meandering walkways and a more natural environment. Even with the Convention Center and roadway construction around it, the Garden is an oasis. “You’re totally transformed when you come here,” Shapiro says. In addition to the tranquil setting, it is a venue for environmental education, cultural tourism, and arts and cultural programming. Visitors can take audio tours using their smart phones which include a history of the Garden and Miami Beach along with information on the various natural features. Shapiro has been the Garden’s Executive Director since May 2015. She was a volunteer and Board member for 8 years before that. Raising the money to keep the Garden going is her biggest challenge. She said the City provides a small annual stipend with the remaining 75% raised through special events at the venue, memberships, and fundraising. “Volunteers and donors are the secret ingredient to success” for small gardens, she told us. 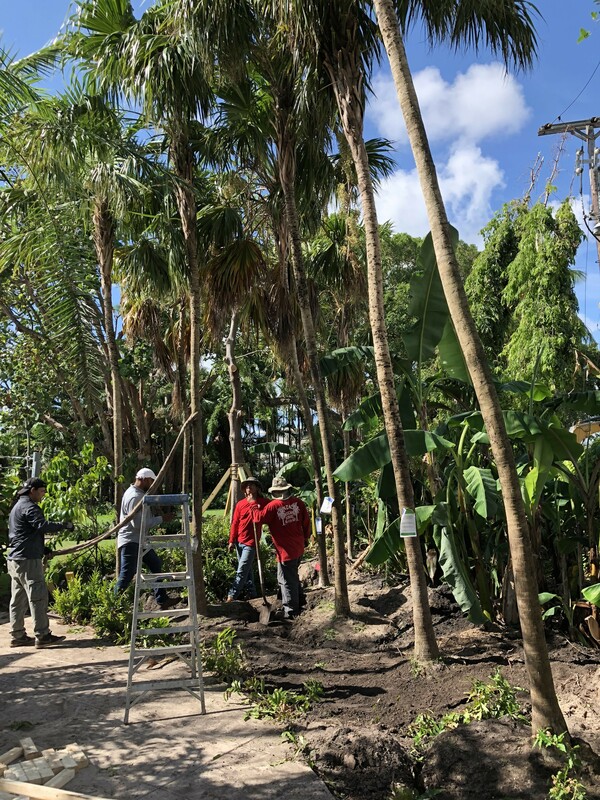 Given that this is South Florida, hurricanes have played a large role in the Garden’s history: 1992’s Andrew as a catalyst for its rebirth and, most recently, Irma which provided some additional synergies for the City and Garden to help each other out. Shapiro said the Garden lost a lot of its vegetation in the September storm around the same time the City was planning to remove trees along the Canal in preparation for the seawall project. She said some of the trees were too big or in the power lines, but 14 were lifted up over the Garden’s fence and replanted. “It turned out to be amazing timing because I had places I needed to put in a little material,” Shapiro said. “It was fabulous but it wasn’t inexpensive.” That said, with slow growing thatch palms costing $65 per foot, she was grateful. 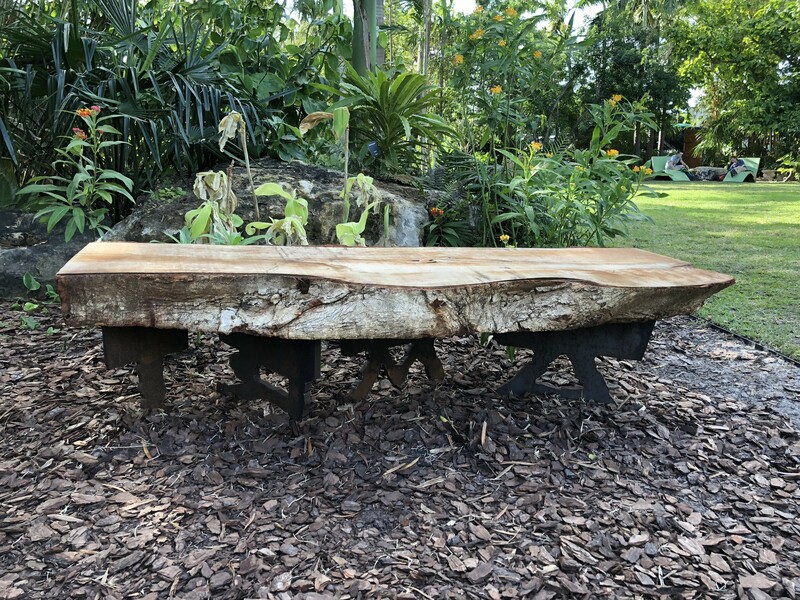 When Design Miami came to town in December, the fair commissioned benches made from trees that were destroyed by Irma. Ten were donated to the Garden and now provide places for visitors to sit amongst the trees. The lesson of another hurricane carries through in the Garden’s education program. Shapiro said the devastation of the Hurricane of 1926 (before they were named) led to the creation of the Miami Beach Garden Club in 1927. The Garden Club started seedlings in Dixie cups – an effort which became known as the Dixie Cup Campaign – and asked people to plant them. At this year’s Art Deco Weekend in the Kids Zone, the Garden rekindled the Dixie Cup Campaign using recycled water bottles, Dixie cups, seeds, and compost from the Garden. Being good stewards of the environment is an important mission for the Conservancy. In addition to educational programs, the Garden has a community compost hub and, during events, they employ reusable plates, cups, etc. “If we’re not doing it, how can we expect anyone else to do it?” Shapiro asked. The Miami Beach Botanical Garden is open to visitors Tuesday through Sunday from 9 am to 5 pm. Admission is free. Check their website for other special events and ways you can help support the Garden.